Besides the achievement of a Bates team advancing further than ever, the World Universities Debating Championship last month also solidified the reputation of Taylor Blackburn ’15 as arguably the best female debater in North America. Bates sent three two-person teams to Malaysia for the British parliamentary-style debate tournament, held from Dec. 27 to Jan. 4 at the Universiti Teknologi MARA. Bates A: Matt Summers ’15 of Short Hills, N.J., and Blackburn, of Sonoma, Calif., finished in a tie for 30th out of 371 teams. 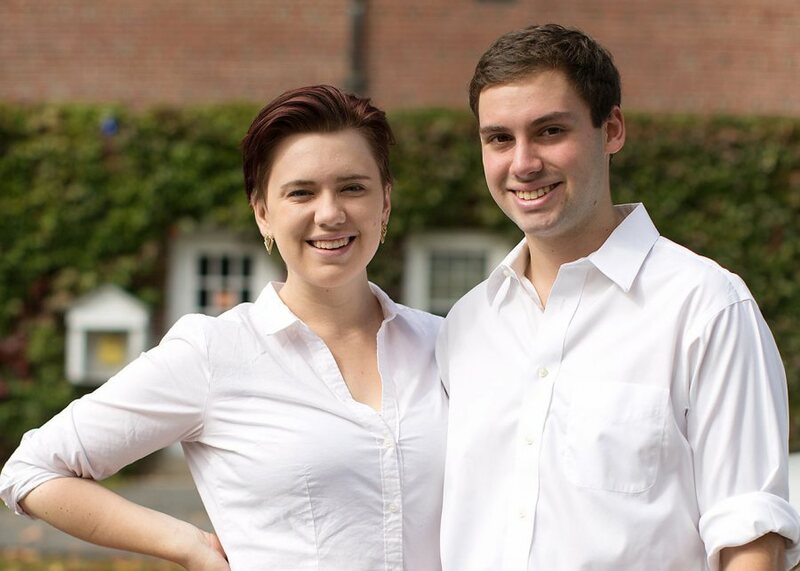 Bates B: Zoe Seaman-Grant ’17 of Charleston, S.C., and Benjamin Claeson ’15 of Bangor, Maine, finished 37th out of 371 teams. Bates C: Alex Daugherty ’15 of York, Pa., and Matthew Kahn ’16 of Newington, Conn., finished 101st of 371 teams. This year, both Bates A and Bates B broke into the elimination rounds. It’s only the second time ever that two Bates teams accomplished the feat, 2014 being the first. After breaking, the Blackburn-Summers team won its initial elimination round debate, defeating teams from Harvard and Columbia — the first time that a Bates team has won an elimination-round debate. Of the tournament’s 742 speakers, Blackburn emerged as the top-ranked female speaker of all North American debaters, and Seaman-Grant was third-ranked. Overall, they were ranked 41st and 82nd, respectively. This house regrets the decline of tightly integrated families. This house believes that environmental movements should support climate engineering that fundamentally alters the environment in an attempt to combat global warming. This house believes that in areas of socio-economic deprivation, schools should train students in vocational skills to the exclusion of the liberal arts. This house would prohibit the media from reporting on the mental illness of those accused of crimes. This house believes that the international community should cut off Internet access in Syria. This house believes that disadvantaged groups should emphasize their conformity with, rather than distinctiveness from, dominant culture, as a strategy for improving their social position. Morehouse, Yale, Harvard, the Air Force Academy, the University of Otago (New Zealand), the University of Queensland (Australia), Midlands State University (Zimbabwe), Universiti Putra (Malaysia), the University of Alaska, the Trinity College Dublin Philosophical Society (Ireland), Keio University (Japan) and Chinese University of Hong Kong. Looking ahead, Bates hosts an American Parliamentary Debate Association tournament on Feb. 27–28, with debates taking place in various classrooms in Pettengill Hall. As host, Bates’ world-class debaters won’t be participating — but still a fine time to see top-flight parliamentary debaters in action.